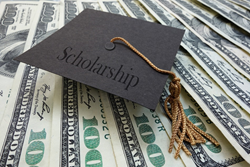 Students looking to earn some cold-hard cash to go towards academic costs should know that as of May 12, 2016, USAttorneys.com has announced they are giving away $2,500 to the winner of their “Immigration Scholarship Essay Contest.” Although the clock has already begun to tick, there is still time for those interested in applying to do so. Details and requirements are provided below to help students get one step closer to receiving the funds they need to cover the costs of books and tuition, leaving more hard-earned money in their pockets. With the recent release of this exciting, and not to mention generous opportunity, students should know what it takes for their essay to be successfully submitted and considered. What makes this scholarship more unique than most? There are minimal limitations. The only requirement needed to apply for this gracious offer is that applicants are U.S. citizens and will be, or are currently, attending an American university or college. If students believe they have what it takes to put together a well-written essay that covers one of the above mentioned topics, please submit essay via PDF or Word Document and email to USAttorneys.com at immigration(at)usattorney(dot)com. Emails should include the student’s full name, the school they will soon be attending, or the university where they are currently studying. The deadline for this scholarship contest has been set for July 1, 2016 by 12:00 midnight EST. Once the essay has been submitted for review, those working on the USAttorneys.com Scholarship Committee will determine who the winner is. Not only are they going to notify this lucky individual by mail, but their accomplishment will be broadcasted on the USAttorneys.com website! July 15, 2016 is the date to remember as this is when the individual who will be walking away with $2,500 will be announced. Don’t feel quite prepared for this upcoming opportunity? Don’t stress. The company will be holding yet another chance for students to take hold of. Their next scholarship offer will be available next fall with the deadline set for February 1, 2017. USAttorneys.com has long been providing individuals with useful and resourceful information pertaining to immigration law. Some of their latest articles showcase struggles people face with their immigration status as well as provide advice on how to deal with certain issues that arise with immigration itself. Being an immigration attorney is quite the task, however, ensuring individuals seeking legal aid and advice get it is the ultimate goal when it comes to the services USAttorneys.com offers.